We are now 11 days into 31 Days to Build a Better Blog and have all been working hard. Check out Darren’s 31 Day project page for the daily tasks we have to complete. Confused about which blog site to use? Is Twittering Shifting Blogging into a new Phase? What does your Blog look like to your subscribers? What does your Blog look like in Different Feed Readers? SlideShare Needs our Support – Lets Help them Out! But this has meant I have not had time to record my progress with each daily task, so I will do a quick update here! Been struggling with this so decided to ask my readers, my fellow twitters and members of my forum. Used an open ended question “need to plan week worth of posts are there any topics you would like to read more on?” – NO RESPONSE. Tried again, but used using Twitter – here is the question. This had a tremendous response – with heated discussions between Twitterers on which series I should write on. I have not decided yet – so you can still vote by leaving a comment. Special commendations to Kathryn for working hard on trying to influence others (you need to work harder B. is in the lead) and Brian for turning B + C into D (Web 2.0 tools on mobile devices). With 11 blogging participants so far in our 31 Days Chocolate Challenge I have definitely achieved this. As an organiser of the Chocolate Challenge, it is important that I visit all blogs and take time to comment on the great work they are doing. 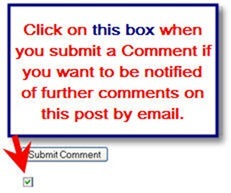 I hate the fact with commenting that it can be time consuming to find out if there has been further comments on the post unless the person has a notify by email on their comments. Thankfully Cammie helped me out here by telling me about Co-mment (which is way better than being notified by email). If you have the same frustrations check out how to use Co-mment. Well I really hate clutter in sidebars so have tried to keep this to a minimum – but it is really hard. I have used the 3 column template to balance it all visually. The widget I in my sidebar I think I could remove is Recent comments. In our community having Blogs I read is important – although it makes me feel like the parent that did not invite all the kids to the party. If you leave someone off and they notice – will they get offended. Should I remove Recent Comments? Am I missing an important Widget in my sidebar? Side bar clutter. Well I have been thinking on this. And I would remove the recent readers. As its not a true indication by just a MyBlogLog advert. Make the Archive section a button at the top, hence remove that. And finally yes recent posts, reduce the number or remove it. Also whats the stray checkbox below the submit button on this form for ??? I like all you posting ideas. If I had to select one, it would be the mobile devices with examples because I see way less written about that as it applies to learning. 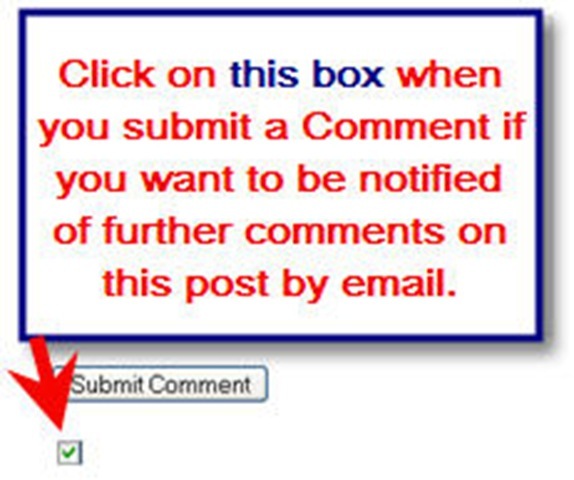 I agree you could remove recent comments, and probably recent readers. I do tend to see that more as an ad for MyBlogLog than as any helpful information. Is the little check box below what you refer to above to get email notifications? Do you have to manually add instructions each time? I have removed My BlogLog – although was enjoying the pictures of CogDog on it. Yes the images was to show tick if you want email notification. Have also taken on board other suggestions and have done them.